Are you seeking a rewarding career path that offers professional growth? Is work-life balance important to you? If your answer is yes, then come see how Newcomer might be a good fit for you! Our family-owned company has been in operation since 1893. We are actively seeking a Funeral Director to join our team. A great candidate will excel in quality of care, be a forward thinker, and embrace new technologies. This individual should also embrace an ongoing learning mindset and be able to work with all personality types. In return, we promise to provide you with a strong team, superior products and facilities, and a balanced family-friendly atmosphere. Plan to be treated with dignity, fairness, respect, and rewarded for creativity, teamwork and family satisfaction. 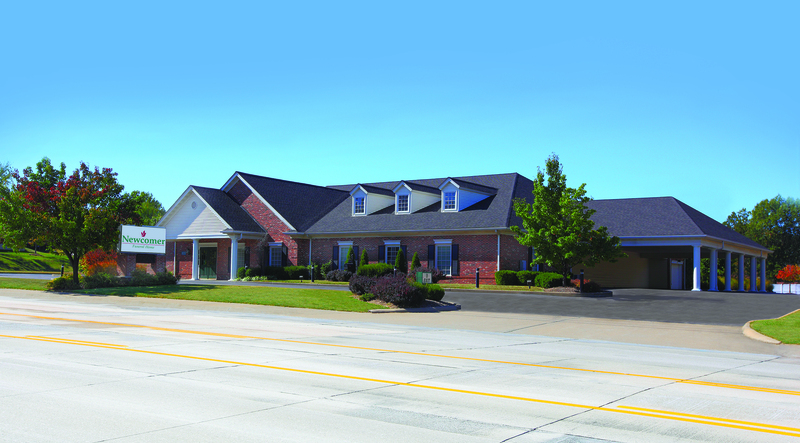 Our funeral home is beautifully maintained and located in lovely St. Peters. With a bright and spacious chapel, charming Garden Room with attached courtyard, modern arrangement room, and large business office, it is also a great place to work!